The young boys and girls from Waterfall Pre-Primary School, based on the iThemba Campus, are Focus on iThemba’s littlest Heroes of Hope and have embraced the ‘kindness is cool’ movement. 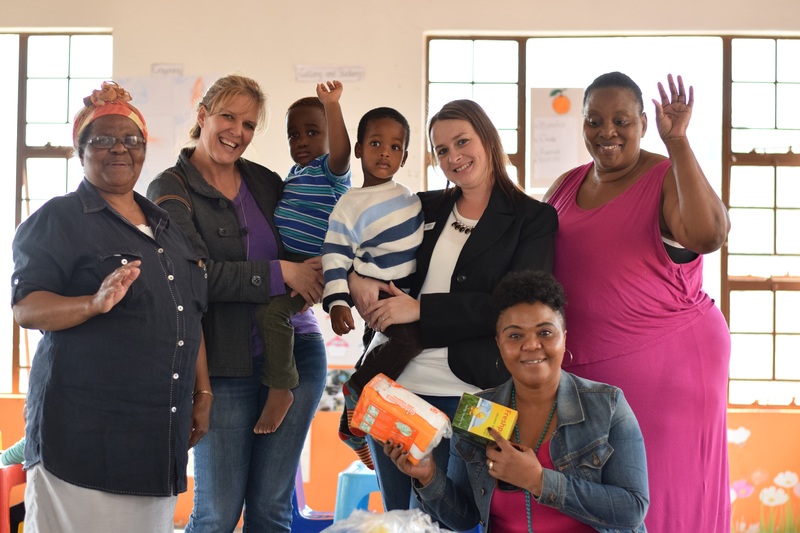 They came together and kindly donated children’s clothing, toys, nappies and baby supplies for the eight crèches which Focus on iThemba supports in the Valley of 1000 Hills and surrounds. In addition, the school hosted a cake sale to raise funds for the crèches. Pictured at Siyajabula Crèche in Embo are from left; Elizabeth Ngongoma (Crèche founder), Paula Mason (Waterfall Pre-Primary Principal), Mhlengi Shezi, Thalente Zwane, Samantha Lee (Waterfall Pre-Primary), Buyi Ngongoma (Crèche Principal) and Khanya Gama (Focus on iThemba, Field Rep).